It's stretchy, chewy and a tantalizingly tasty! Unraveling the wrapper leads to the gooey goodness of taffy. No candy theme is complete without taffy, right? 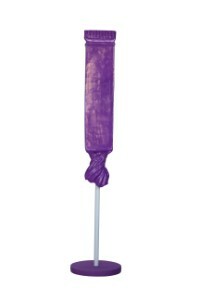 Taking the likeness of a beloved candy, our polyresin Taffy pieces are displayed on a 7' tall stick. The details of the wrapper were extensively designed and the result is a polyresin decor piece to fit in any venue.